Interview published by Egypt Daily News - Five years ago, no one would have expected that a terror group would seize a piece of land the size of one third of Iraq, use social media to promote its propaganda, operate hospitals and universities, and run an oil business to fund itself. These are features typically confined to the purview of the state and its infrastructure networks. However, “Islamic State” (IS), an amorphous, seemingly nomadic group, is perhaps the paradigmatic terror group of the 21st century, troubling the conventional notion of the nation-state and territorial governance. Where Al-Qaeda was a similarly distended, influential force, IS, which originally was confined to Iraq and Syria but has since expanded its operations, is not content to practice a type of war of the spectacle that relies on covert tactics. IS has prioritised territorial holdings, using media professionally, funding itself by its own projects and claiming overseas operations carried out by those who have pledged allegiance to its cause. The formation of both groups also gives an idea about the difference of their strategic views. Al-Qaeda was formed after the Soviet invasion of Afghanistan. The 10 years of war against the Soviet occupation formed the strategic views of Al-Qaeda leaders. Osama Bin Laden arrived to Afghanistan among thousands of militants aiming to defeat the “atheist Soviet Union”. Later, the core aim of Al-Qaeda was to attack Western targets with the goal of uniting all Muslims against “their enemies”. After the US invasion of Iraq, some Al-Qaeda members formed Al-Qaeda in Iraq (AQI) which, at the time, was a group of Sunni militants fighting the American occupation and the Shi’a. Their leader, Abu Mos’ab Al-Zarqwi, who had pledged allegiance to Bin Laden, was killed by US forces in 2006. Those militants were defeated by the Sunni tribes and the US forces. However, imprisonment allowed them to network and organise themselves. This fledgling community would provide the foundation for the establishment of Islamic State in Iraq and Al-Sham, known as ISIS. The group took advantage of the chaos started in Syria in 2011. From Syria, they began to seize more lands inside Iraq. Under Nuri Al-Malki’s rule, Iraq adopted a pro-Shi’a agenda. ISIS, whose constituency contains Sunni tribal leaders, started to gain more power, taking advantage of this sectarian conflict. In addition, the group’s members included former officers in Saddam Hussein’s army with broad military experience, which aimed to avenge losses to US forces. Political and security analyst Alessandro Di Maio believes that the origins of “Islamic State” are to be found in the situation in Iraq after the US invasion in 2003, when numerous jihadist movements began to proliferate in the country. “Al-Qaeda, at the time still led by Osaba Bin Laden, felt the necessity to open an Iraqi branch and so contacted Abu Musab Al-Zarqawi, a Jordanian jihadist well-known to Bin Laden because of his experience in Afghanistan. Al-Zarqawi accepted to open a branch of Al-Qaeda in Iraq and called it “Al-Qaeda in Iraq” (AQI),” Di Maio told Daily News Egypt. In this way, Bin Laden and al-Zarqawi formed a mutually beneficial deal: Bin Laden gained the possibility to expand his organisation in Iraq; Al-Zarqawi obtained financial resources, propaganda, and weapons. However, the direction of AQI was immediately evident to everyone. Bin Laden, and later his successor, the Egyptian jihadist Ayman al-Zawahiri, wanted AQI to realise attacks against US and Western targets present in Iraq and to avoid attacks against Shi’a Muslims, while al-Zarqawi moved in another direction, pursuing a sectarian war against Shi’as. The sectarian war between Sunni and Shi’a in Iraq was involuntarily facilitated by the forced dismantlement of the Iraqi army realised by the US and by the pro-Shi’a policies adopted by the government of Al-Malki. “We do not have to forget that the related majority of the Iraqi population is Shi’a and that with the removal of Saddam Hussein’s dictatorship, the country slides slowly towards Iranian influence. The lack of job opportunities and governmental pro-Shi’a policies facilitated AQI’s recruitment of manpower,” Di Maio added. Between 2006 and 2011, there were a few changes of leadership. In 2006 Al-Zarqawi was killed by a US-Jordanian airstrike in Iraq and the leadership of AQI was transferred to the Egyptian jihadist Abu Ayyub Al-Masri. In 2010, Al-Masri was killed in Iraq during a fight with US soldiers. The leadership of AQI moved to Abu Bakr Al-Baghdadi, an Iraqi jihadist. At the same time, in 2011, Bin Laden was killed in a US raid in Pakistan, and Ayman Al-Zawahiri became leader of Al-Qaeda. In 2011, with the then new Syrian Civil War, Al-Zawahiri decided to exploit the chaos in Syria in order to establish a base for Al-Qaeda in Syria. Small groups of jihadists moved from Iraq to Syria in order to build a network of contacts and recruit local militias. They succeed so well that after a few months, this cell, led by the Syrian jihadist Abu Mohammed Al-Julani and now called the Al-Nusra Front, became the strongest rebel group in Syria: well armed and trained. The situation in Syria, in fact, proved to favour such groups. The revolution soon became a civil war featuring conflict among a sectarian base. Al-Nusra Front exploited the weakness of Al-Assad’s regime and other rebel groups. In 2013, Al-Baghdadi proclaimed the formation of a new entity, the Islamic State of Iraq and Syria, by unifying the Al-Nusra Front and AQI. His intentions, however, were contrary to Al-Qaeda’s al-Zawahiri. It is the truth that Al-Qaeda facilitated the creation of Al-Nusra, but his idea was to create a local Syrian Qaedist group not unified to AQI. The day after Al-Baghdadi’s proclamation, Al-Julani publicly denied the unification of Al-Nusra and AQI, and confirmed Al-Nusra’s affiliation to Al-Qaeda. Later on, Al-Baghdadi moved to Syria and, by bringing jihadists and weapons from Iraq, created an ISIS cell in Syria that quickly became even bigger and stronger than the Al-Nusra Front. At this point, Al-Baghdadi’s forces in Syria became capable of recruiting many of Al-Nusra’s militias. In 2014, IS forces moved back to Iraq, conquering important Iraqi cities, cancelling de facto the official border between Iraq and Syria and controlling a large portion of unified territory between north-west Iraq and western Syria. At this point, ISIS and Al-Qaeda interrupted collaboration. In 2014, ISIS forces capture the Iraqi cities of Fallujah and Ramadi in January. In June 2014, they moved toward Baghdad, taking Mosul and Tikrit, after defeating the Iraqi army. As the group expanded its scope of influence beyond Syria and Iraq, the group proclaimed itself the Islamic State, saying that the lands under their control constitute a new “caliphate”. The terror group managed to recruit young people not only from Arab countries but also from ordinary middle-class homes in Europe and the US. A militia or a state? IS comes from Al-Qaeda. The two organisations have several similarities, in particular their anti-Western ideology and the use of Jihad and martyrdom as a weapons of combat. However, there are many differences between the two, and their different strategies shaped not only two diverse structures but also gave to each of them two different immediate enemies. Taking lands was not one of the short term important objectives of Al-Qaeda. Its leaders always believed the announcement of the caliphate to be a postponed dream. Their clear strategy was to attack Western targets worldwide and eliminate the Western existence in the Arab world. From its early beginning, Al-Qaeda’s operations focused on attacking the US embassies in Kenya and Tanzania, bombing the US vessel USS Cole, and the World Trade Center in 1993. “[Al-Qaeda’s] tactic is to attack Western targets on Western soil and in Arab-Muslim countries. The first ones are realised for propagandistic reasons, mostly to radicalise Muslims and attract sympathy from anti-Western Muslims who could join the organisation,” Di Maio said. A practical example is the terror attacks in the US and in Europe between 2001-2006 that transformed Al-Qaeda from a militant Jihadist group to a global network of jihadist cells and movements able to conduct strikes in many countries around the world. The second type of attacks were also against Western targets, but in Arab-Muslim countries in order to push Western governments to end their support for the political regimes of Arab-Muslim countries that are considered “apostates” by Al-Qaeda, according to Di Maio. This idea derives from the experience of Hezbollah (a Shi’a group) in Lebanon in 1983. The 1983 terror attacks against the US Embassy and a US compound hosting American soldiers in Beirut led the White House to withdraw all troops from Lebanon. According to Al-Qaeda, this tactic was deployed to cause the collapse of apostate regimes in predominately Muslim countries and give space to Al-Qaeda itself. “So, if we imagine Al-Qaeda as a network of cells composed by expert jihadists plotting terror attacks around the world, IS is its exact opposite: it controls a territory that, according to IS leadership, starting from Syria and Iraq, is supposed to conquer new lands and eliminate the kufar (Shi’as, Yazidis, Christians, Jews, and Westerners in general),” Di Maio said. This idea implies not only a different strategy but also a different list of enemies: not the West, which, according to Al-Qaeda, should be attacked whenever it is possible, but a closer enemy that, according to IS, should be defeated in order to guarantee IS the control and the expansion of its territory. This includes the non-Muslim population of Iraq and Syria, Shi’a Muslims, soldiers of the Iraqi army, Al-Assad’s regime, Syrian rebel groups. As IS has developed, its objectives and goals have become clearer. Al-Qaeda thought of itself as the vanguard of a worldwide revolt preparing Muslim groups against secularism. IS, conversely, tries to make territorial gains to construct an “immaculate” Sunni Islamist state represented by a fierce elucidation of Sharia. The goals is to instantly decimate the political fringes of the Middle East that were made by Western forces in the 20th century and to position itself as the sole political, religious, and military power over the greater part of the world’s Muslims. Al-Baghdadi’s idea is to create an Islamic caliphate now, one that is concrete, real and based on Sharia. This idea shaped IS’s structure and identified different prime enemies than those of Al-Qaeda. IS’s structure is the one of a proto-country taking certain elements of the nation state while retaining Al-Qaeda’s nomadic flexibility. IS operates on the promise of a future state with a capital and borders even if decentralised power is most efficacious for its current aims. It has courts, tax-collecting agencies, police departments, a media department, industries able to extract and sell oil, plans for its own currency, and an army with various weapons including tanks. In 2014, IS claimed nine Syrian provinces, covering most of the country and lying largely along existing provincial boundaries: Al Barakah, Al Khayr, Raqqah, Homs, Halab, Idlib, Hamah, Damascus, and Latakia. It later subdivided the territory under its control to create new provinces of Al-Furat, Fallujah, Dijla and Al-Jazeera. IS has portioned Libya into three recorded territories, asserting power over Barqa (or Cyrenaica) in the east, Fezzan in the desert south, and Tripoli in the west, around the capital. The city of Derna has been a noteworthy wellspring of fighters in the Syrian Civil War and Iraq insurrection. In 2014, various IS forces met in Derna. Following that they united numerous nearby activist groups under their initiative and pronounced war on any individual who contradicted them, killing judges and different adversaries, including neighbourhood aggressors who dismiss their power. On 5 October 2014, the IS-connected fighters, who by then controlled part of the city, assembled to promise steadfastness to Abu Bakr Al-Baghdadi. They were later ousted from the greater part of this city, after conflicts with opponent aggressors in mid-2015. In February 2015, IS assumed control over parts of the Libyan city of Sirte. In the next months, they utilised it as a base to capture neighbouring towns, including Harawa and Nofaliya. The group aimed to form a sort of a system on the lands they occupy. They run schools, universities and hospitals. They pay salaries. Jihadists for the first time feel that they live in a homeland and not scattered in caves or mountains. This philosophy is also clear in the rebranding of every IS affiliate as a “province”, as in Egypt’s Sinai when Ansar Bayt al-Maqdis swore allegiance to IS in November 2014, and became “Sinai Province”. The same occurred in Nigeria, when Boko Haram’s leader Abubakar Shekau pledged allegiance to IS via an audio message posted on the organisation’s Twitter account on 7 March 2015. Abu Mohammad Al-Adnani, the spokesperson of IS, welcomed the allegiance, and described it as an expansion of the group’s caliphate to West Africa. Boko Haram now is known as the “West Africa Province”. IS does not only target non-Muslims. According to them, anyone who believe in their caliphate is considered a Muslim. While Al- Qaeda relied on donations to operate, IS has generated its own capital. The amount of money they need to run a systemic state most likely comes through smuggling oil and selling antiquities. According to a Financial Times investigative report, IS’s main oil producing region is in the Syrian city of Deir Ezzor, where production was estimated to be between 34,000 to 40,000 barrels a day in October. IS additionally controls the Qayyara field close to Mosul in northern Iraq that delivers around 8,000 barrels a day of oil that is for the most part utilised locally to make asphalt. In the wake of Turkish-Russian tensions, Moscow said it received additional intelligence confirming that oil from deposits controlled by “Islamic State” moved through Turkey on an industrial scale, Russian President Vladimir Putin said. On the sidelines of the climate change summit in Paris, Putin said Russia has grounds to suspect that Turkey shot down the Russian Su-24 on 24 November to secure illegal oil deliveries from Syria to Turkey. “At the moment, we have received additional information confirming that oil from the deposits controlled by IS militants entered Turkish territory on an industrial scale,” Putin said. Russia has every reason to believe that the decision to down the plane was guided by a desire to ensure security of this oil’s delivery routes to ports, where they were shipped in tankers, he added. Small traders most likely buy this oil from IS, and sell it to Turkey according to the Russian account. Last November, Russia said it will block the Syrian-Turkish border. The Russian foreign minister, Sergey Lavrov, said that “Moscow is convinced that by blocking the border we will in many respects solve the tasks to eradicate terrorism on Syrian soil”. According to Samuel Hardey, in an article he published on Reuters, 4,500 archaeological sites, some of which are UNESCO World Heritage sites, are reportedly controlled by “Islamic State” and are exposed to looting in Iraq. Iraqi intelligence estimates that IS alone has collected as much as $36m from the sale of artefacts. Michel van Rijn, one of the most successful smugglers of antique artefacts, told German broadcaster Das Erste this month that “Many antique collectors unwittingly support terrorists like Islamic State”. Some of the Syrian artefacts were found in Turkish and German auction houses. However, Hardy has questioned the efficacy of a ban to stem the flow of capital in IS coffers. “An emergency ban on trading in undocumented Syrian antiquities may help Syria now, but it will be no more effective against the perpetual, global threat than the ban on trading in undocumented Iraqi antiquities that preceded it”. In May 2015, IS militants seized the historical Syrian city of Palymra, which is considered a human heritage site by UNESCO. They also recently managed to seize the Libyan city of Sabratha, a city full of Phoenician, Byzantine, and Romanian monuments. Fadl Mohammed, a Libyan antiquities expert, believes that IS members are selling some of those artefacts. “IS militia are digging randomly in those cities searching for artefacts, and some of those artefacts were smuggled to Europe and sold there,” Mohammed told Daily News Egypt. According to Mohammed, IS militias are also destroying some Shrines in Derna. The developments in West Africa show how different IS and Al-Qaeda are in terms of funding. Bram Posthumus, a Burkina Faso-based journalist, believes it is a matter of degree and target. Boko Haram appears to be mostly engaged in mass slaughter and mass abductions of local people. “That resembles IS’s methods in Syria. Al-Qaeda affiliate Al-Mourabitoune, which has claimed the Ouagadougou and the Bamako recent attacks appears to target mostly Europeans,” said Posthumus. Seven Burkinabe have also been reported dead. But for Al-Qaeda, local people do not appear to be the main target. Previously, this group made its money abducting Europeans and getting paid by European governments for their release. They probably were also involved in drug trafficking and human trafficking. “Various armed groups are in Mali today and the lines between their professed Islamist credentials and their criminal activities are blurred. This specifically applies to Al-Qaeda. I would say that is the main difference: Islamic State appears to want to kill everyone who gets in their way; Al-Qaeda combines its nefarious business ventures with occasional targeted killing sprees,” Posthumus continued. There are many more complicating factors involved, including for instance the Touareg-related group Ançar Dine, which says it has abducted two Austrians from northern Burkina Faso. This is the group that invaded and damaged Timbuktu in 2012. It is led by a consummate opportunist name Iyad Ghali, who is convinced that his fortunes lie with joining a supposedly Islamist cause, according to Posthumus. The Propaganda techniques of terror organisation have developed in recent years. While post-Russian Afghan war groups communicated with prospective fighters directly, Al-Qaeda used technology for the first time when they produced video messages to justify their attacks. They also called on more members of the youth demographic to join their jihad. Al-Qaeda was lucky back then, as Al Jazeera TV accepted to the forum that they deliver their messages through, but now it is easy for anyone who owns a personal computer or handheld device to publish anything to the world. Terror groups do not need any media institution to adopt their media products anymore. “First of all, we must say that Al-Qaeda developed in a historical period in which Internet had minor penetration in society. Facebook, Twitter and other social media did not exist yet. We all remember Bin Laden’s and Al-Zawahiri’s amateur video messages sent to Al Jazeera,” Di Maio told Daily News Egypt. Al-Qaeda often disseminated recorded sermons and lessons about Islam and Jihad that failed to pique the interest of Western audiences. Bin Laden and Al-Zawahiri understood the potential of satellite TV in gaining support among Muslim populations. It is thanks to Al-Qaeda’s videos that the Arabic-speaking television stations spread around the world have become the networks we know today. The internet was used as well. Propaganda texts, photos and videos of prisoners, executions and military trainings were spread across the Internet on forums and websites, but the largest change was realised between 2005-2006 by AQI’s leader Al-Zarqawi. “If video messages through Arab satellite TV were reflecting Al-Qaeda’s global strategy and were enough to radicalise part of the Muslim population thanks to Bin Laden’s charisma obtained after 9/11, Al-Zarqawi’s brutality mainly against Shi’a Muslims in Iraq brought him to a many more users of the Internet where it was possible to share horrific videos of prisoners executions and suicide attacks that the mainstream satellite TV stations were limiting and censoring,” Di Maio added. Moreover, for security concerns, due to the US intelligence, recording a video and sending it to satellite TV became even more problematic. The Internet became the main field for propaganda and recruiting. In 2010, A-Qaeda in the Arabia Peninsula (AQAP) started publishing “Inspire”, an online magazine published in order to encourage Muslims around the world to carry out individual attacks. “Inspire” published articles on how to build a bomb, how to avoid being tracked by the intelligence, etc. In any case, while the internet became largely used by Qaedists to recruit and spread propaganda, Al-Qaeda’s main strategy was to realise sensational terror attacks against the West. IS meanwhile mastered the use of social media like no other terror group before it. They seem to have experts in digital marketing, video editing and graphics. Facebook, for them, was a perfect medium to spread their content as it is used by 1.4 billion users according to Statista website. Forum, blogs, Twitter and Facebook became the main source for recruiting new fighters and to give information about how to reach IS. Moreover, following on from Al-Zarqawi’s strategy, IS continued carrying out horrific and spectacular mass executions and suicide attacks. All of them were recorded on high resolution video and professionally edited with special effects and music. “The difference between the first Al-Qaeda amateur videos and IS videos is evident and tips in favour of the latter. These dramatic and violent well-constructed videos have a much stronger effect on the minds of new possible recruits,” Di Maio said. IS also uses social media to send messages to governments when it kidnaps citizens to ask for ransoms, as they did in the case of Japanese journalist Kenji Goto. The other objective for IS is to spread fear, which was clear in the video they published of the Jordanian pilot Muaz Al-Kasasba, who was immolated on camera. The content went viral due to its brutality. IS relied on the same tactics when they beheaded Egyptian workers in Libya, and during the beheadings of several Western journalists and aid workers. The main aim of using social media is to recruit fighters. According to a report released by the Egyptian ministry of endowments, 80% of IS fighters were recruited through social media. “Facebook and Twitter are used daily to approach Muslims around the world and convince them to join the IS. These social networks are used also in order to exchange information among members of the jihadist organisations,” Di Maio said. Generally, the accounts of the most prominent recruiters have strict privacy settings and few followers. In this way, they avoid being reported by other users and being banned. “It has been proven that IS uses fake accounts on online dating sites in order to facilitate contacts among members without appearing suspicious,” Di Maio continued. In 2014, IS published the first issue of “Dabiq”, its official online magazine. The magazine is very similar to Al-Qaeda’s “Inspire”, with one main difference. While “Inspire” is directed to encourage Muslims to undertake individual attacks against Western targets, “Dabiq” tries to convince readers to join IS and to accept the authority of Al-Baghdadi as Caliph of all Muslims. Al-Qaeda and IS have begun to imitate one another. 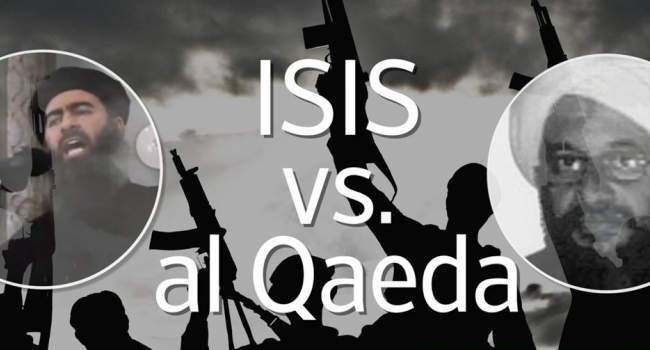 Al-Qaeda has begun to use the internet in similar ways to IS. It has also increased the number of attacks against Western targets. My interview for the Egypt Daily News by Ahmed Abbas was published on January 20th 2016.